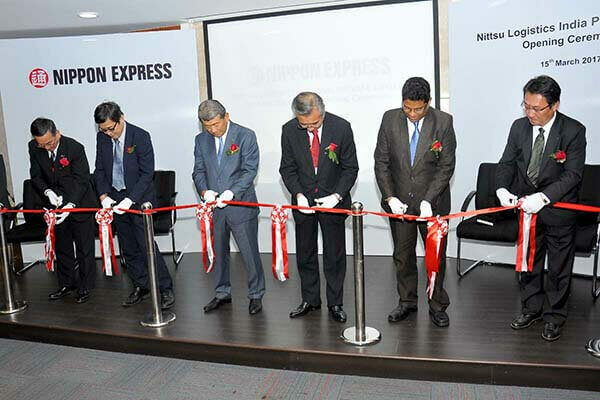 Tracing the origin and growth of their business activities in India, Mr. Yasunori Takahashi said that while increasing their presence in India, they are aggressively developing business in South India. Thanking Sri City for the support being rendered, he added that their unit in Sri City serves as a all-weather cross dock centre for various local manufacturing and engineering industries and those located around Chennai. 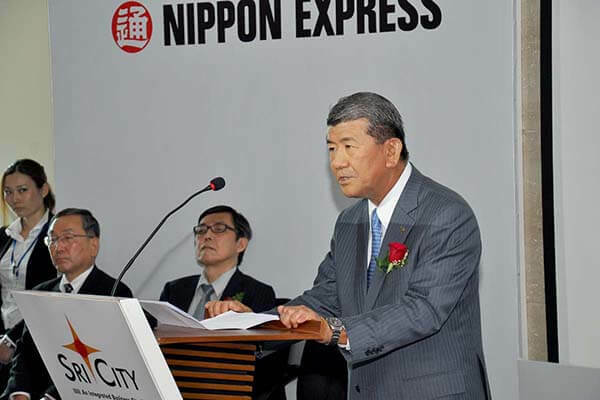 Briefing about the salient features of the state of the art ware house, Mr. Masato Asahi detailed the host of their services. He said that in addition to inventory control, they support a wide range of customer needs, including packing style conversion , delivery agent, inspections, assembly, and export packaging. it subsequently at an investment of Rs. 50 crores. About 100 persons will get employment. This unit is 6th business location of Nittsu Logistics in India. diversification of customers’ needs, Nittsu Logistics India is being positioned as a company specialising in domestic logistics.